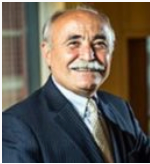 Djordjija Petkoski, Lecturer in the Legal Studies & Business Ethics Department and Senior Fellow of the Zicklin Center for Business Ethics Research, is the faculty member responsible for leading the Business Development & Innovation Pillar in the Carol and Lawrence Zicklin Center for Business Ethics Research. 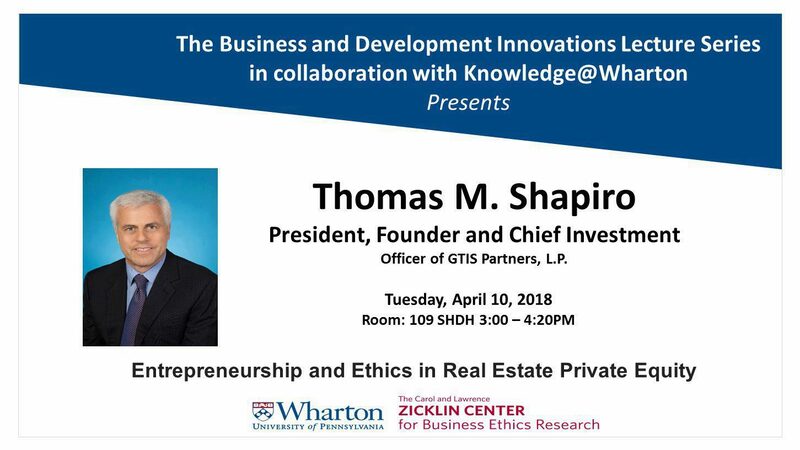 The Zicklin Center supports Wharton faculty, graduate students and other scholarly partners undertaking research projects that focus on the new role business can play in development innovation, and multi-disciplinary and multi-stakeholder approaches to that new role. Issues are examined through the lenses of business ethics, transparency, accountability, and corporate responsibility. The Center also organizes action-oriented knowledge, as well as colloquia, lectures, seminars and other speaker events. With this group, we support the design and implementation of specific innovative Business and Development Innovation pilot projects with high-scalability potential, and the delivery of capacity-development programs. Ideas for Action provides students and young professionals from around the world with a unique opportunity to help shape the international development agenda and to take an active role in changing the world. We host an annual competition during which youths from around the world design ideas for financing the UN’s new development agenda. The competition acts as a catalyst to spark global conversation among millennials and seeks to encourage them to contribute their own voice to the development conversation. We want you to join this conversation. We want you to change the world. Janice Bellace, (2014), Human Rights at Work: The Need for Definitional Coherence in the Global Governance System, International Journal of Comparative Labour Law and Industrial Relations, 30(2), 175-198. Janice Bellace, (2014), Hoisted on Their Own Petard? Business and Human Rights, Journal of Industrial Relations (Australia),56(3), 443-458. Mahmoud Mohieldin and Djordjija Petkoski, (Editors) Financing and Implementing the Sustainable Development Goals, Ideas for Action 2018, The World Bank, 2017. Mahmoud Mohieldin and Djordjija Petkoski, (Editors) Financing Sustainable Development, Ideas for Action 2017, The World Bank, 2017. Mahmoud Mohieldin and Djordjija Petkoski, (Editors) Financing Sustainable Development, Ideas for Action 2016, The World Bank, 2016. Welcome to the 2019 Competition! 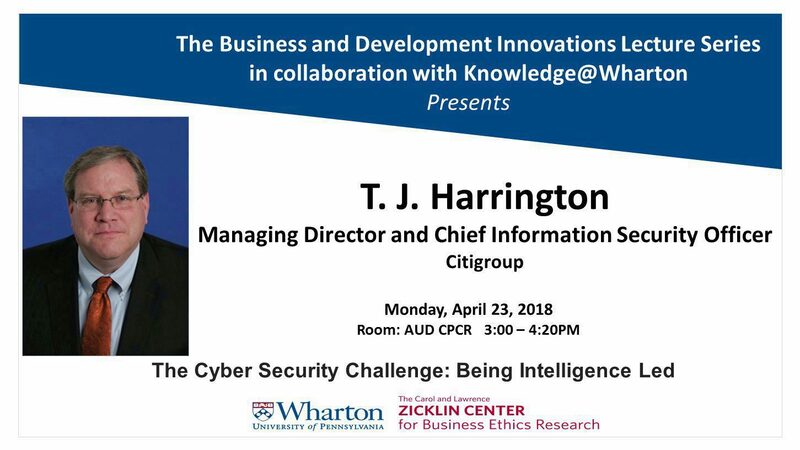 Knowledge@Wharton conversation with the World Bank’s Mahmoud Mohieldin and Wharton senior fellow Djordjija Petkoski. 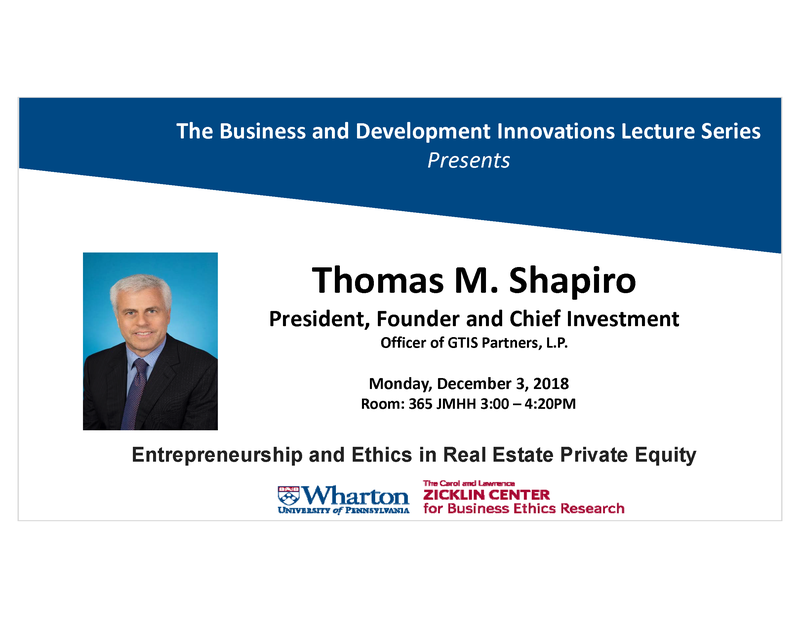 Ideas for Action is a joint project of the World Bank Group and the Carol and Lawrence Zicklin Center for Business Ethics Research at the Wharton School. Students and young professionals from around the world are invited to share their ideas for financing and implementing the UN’s Sustainable Development Goals. Click here to read more.